Leeds, United Kingdom, 14th January 2019. 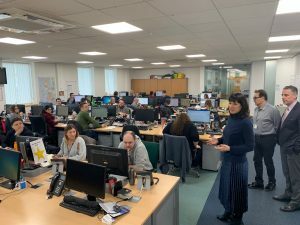 With less than 80 days until Britain’s expected departure from the European Union, Global Language Services provider thebigword has been putting in place plans for all eventualities. thebigword works with a network of over 15,000 linguists many of which are EU nationals living in the UK. To support our partners in the linguist community, thebigword is also working with the Association of Translation Companies (ATC) to campaign for priority status for the linguist community living in the UK and providing interpreting for vital Government agencies and the National Health Service. 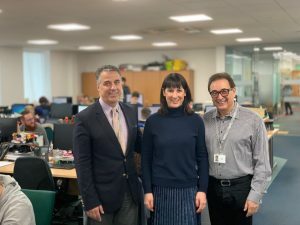 As part of the campaign Nihat Arkan, thebigword’s Global CEO and Larry Gould, Executive Chairman, have met with Rachel Reeves MP who chairs the Business, Energy and Industrial Strategy Committee in Westminster. They shared concerns about the uncertain status of linguist and the company’s campaign for priority status. Rachel Reeves MP also met with employees including staff members from other EU countries living in the UK. A key priority for thebigword has been to take steps to support the 57 EU nationals who are understandably concerned about their status in the UK. 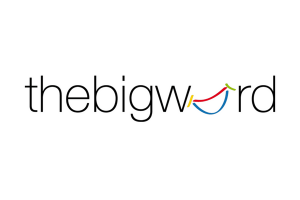 Having put funds aside, thebigword plans to sponsor their applications for settled status and support them throughout the process. thebigword have also formed a Brexit Committee led by the company’s Global Director of Operations, Mark Daley. With the shape of Brexit still to be defined, the committee has been tasked with preparing for every possible outcome. The Brexit Committee are charged with establishing the risks to employees, the global linguist community and the business in general. The company has taken steps to hedge funds and put aside a contingency fund to address any rising challenges upon EU exit. The group has 12 offices around the world, employs over 600 staff and works with a network of more than 15,000 linguists.